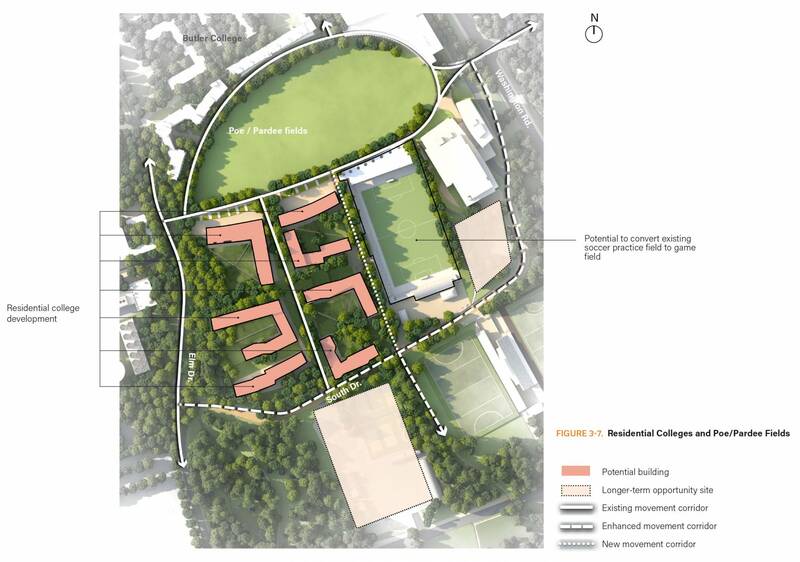 Princeton University just released an update to their long-range campus planning exercise. As expected, the University is planning to add a new residential college, to accommodate an increase in undergraduate numbers of 10%. The site for the new college will be down-campus from Butler College, at Elm Drive and South Drive (next to the existing soccer field, see image above). Some athletics facilities, such as the softball field and tennis facility, will be moved to make space for the new college. 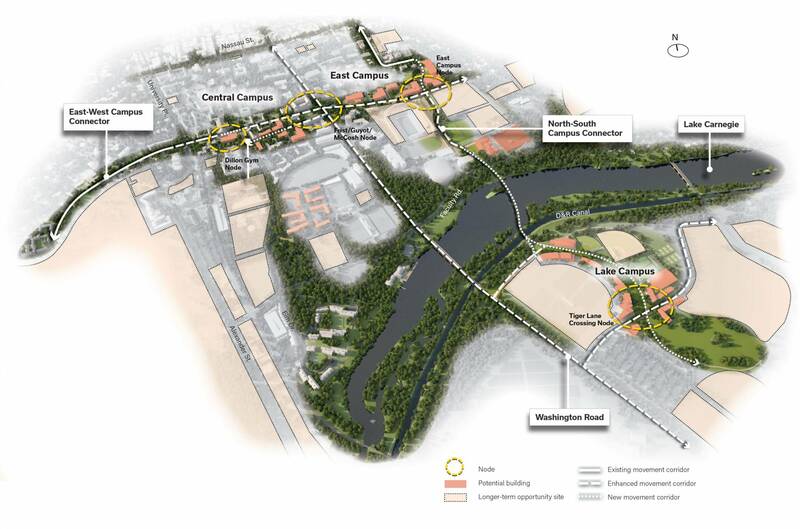 In general, the lastest Campus Plan update makes a commitment to intensifying use of the University’s lands on the south side of Lake Carnegie, which are technically in West Windsor, NJ. Parking, athletics facilities and graduate housing will be added at this site. To accommodate the growing size of the campus, Princeton University will expand its network of walk and bike paths, including adding a new bridge for pedestrians to cross Lake Carnegie. Many of these changes have been trailed by University staff and President Chris Eisgruber over the past year or two. There had been some talk of adding a new stop for the existing ‘Dinky’ train to provide access to new University satellite parking lots in West Windsor, but this seems to be off the table now. Read the full press release from Princeton University at their website here. This entry was posted in Placemaking, planning and tagged planning, Princeton. Bookmark the permalink.